The internationalisation process of Macfrut, the international trade fair for the fruit and vegetable sector, to be held from 8 to 10 May in Rimini (Italy), continues: this time, the protagonist is France. 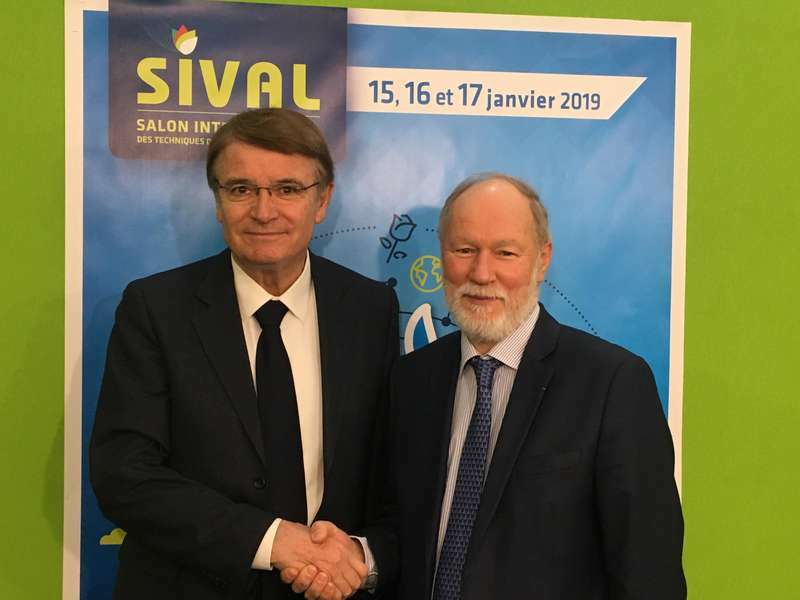 In fact, the signing of a partnership between Macfrut and Sival, the trade fair for plant production and services based in Angers (France), was announced at a press conference held yesterday during the 2019 edition of the French trade fair. ‘We are very pleased to be partners with Sival,’ Renzo Piraccini, President of Macfrut, explained. ‘We have many common interests, since we both focus on promoting the fruit and vegetable supply chain. For us, this is yet another step towards internationalisation, which is aimed at expanding Macfrut and creating opportunities for companies participating in trade fairs abroad’. ‘We are proud to launch this partnership with Macfrut, which represents a step forward in SIVAL's international development. This growth can benefit everyone, our exhibitors, the supply chains and the territory. We are close to Macfrut team and I am sure that this partnership will be fruitful’ – explained Bruno Dupont, President of Sival.